Kierstead Mountain Falls are found in a gully of one of the high points in New Brunswick between Coles Island and Sussex. 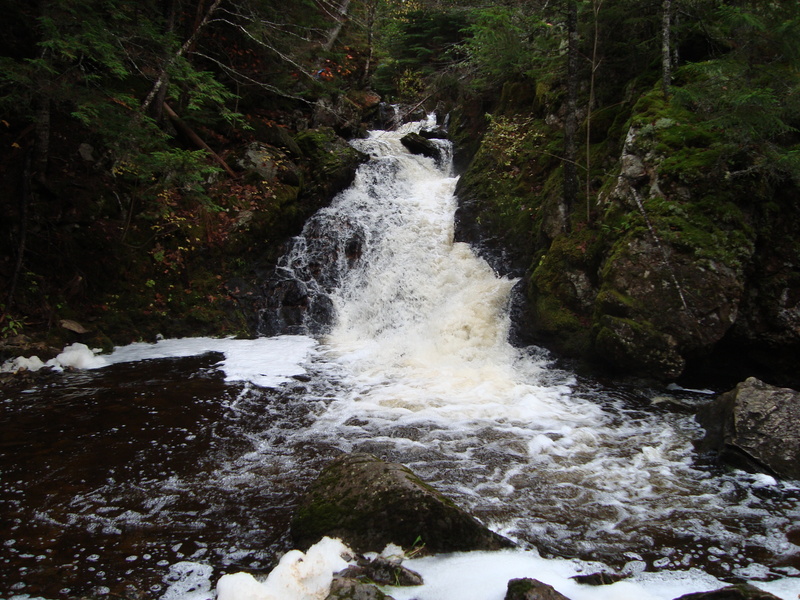 The tiered falls are about 5-6 metres high and flow from Big Brook, which crosses under Hwy 10. A gentle sloped forested trail leads to the falls. To get there, take Hwy 10 from Coles Island or Sussex. Watch for the Keirstead Mountain cemetery on the west side of the road near the top of Keirstead Mountain. On the southbound side of the road, there is a guardrail on Hwy 10 that leads up to the cemetery, park just before this guardrail at an old rest area where the road is widened. A grassy trail leads down a slope toward the brook. Watch for the Y, where the trail continues down the hill through the woods. At about 750m, you will see red flashing on a tree near the bottom of the hill. Follow the flashings down a small embankment and return upstream toward the falls. There are downed trees and the last part of the path is not well cleared or marked.